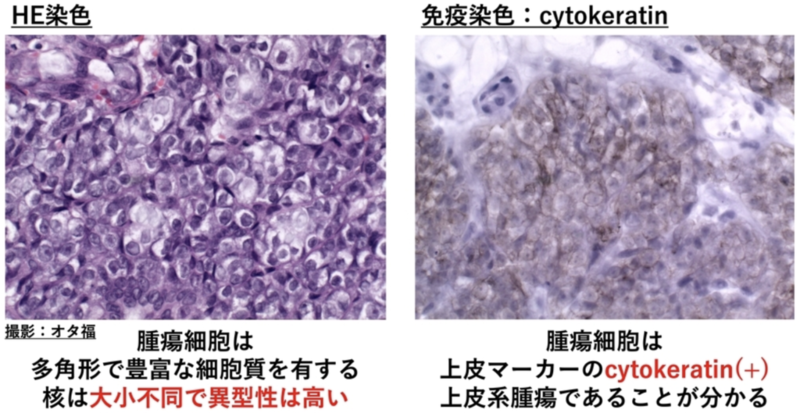 Neoplasia was associated with soft tissue opacities and loss of turbinate detail that affected the entire ipsilateral nasal cavity, signs of invasion of the bones surrounding the nasal cavity, and soft tissue/fluid opacities within the ipsilateral frontal sinus. 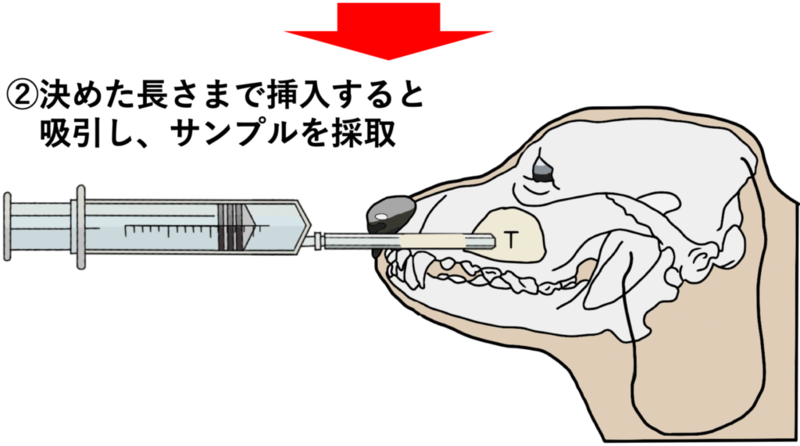 引用文献：Distinguishing rhinitis and nasal neoplasia by radiography. 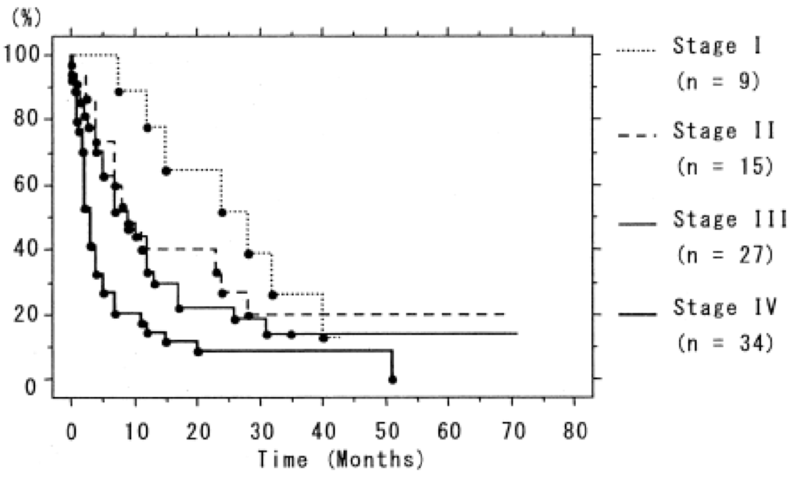 According to WHO staging, the dogs in stage II tended to survive longer (median survival time of 17.3 months) than those in stage III (median 11 months; p=0.087). 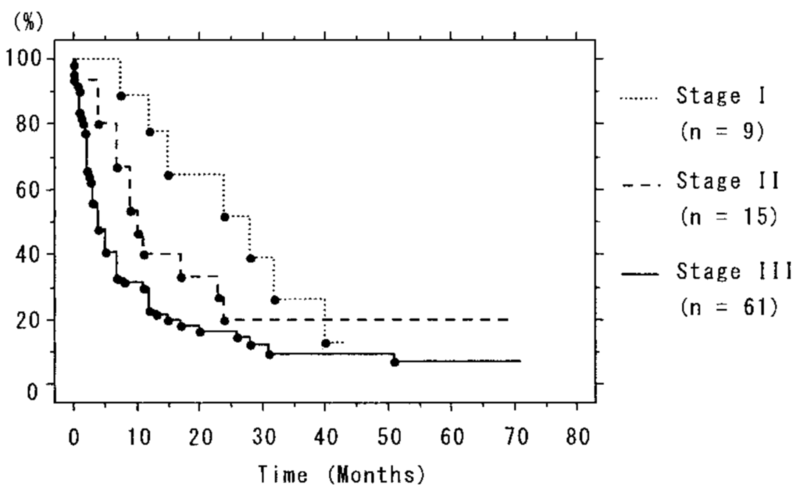 When the dogs with adenocarcinoma were classified according to CT staging, survival time was not significantly different between CT stage I and CT stage II dogs and between CT stage II and CT stage III dogs. 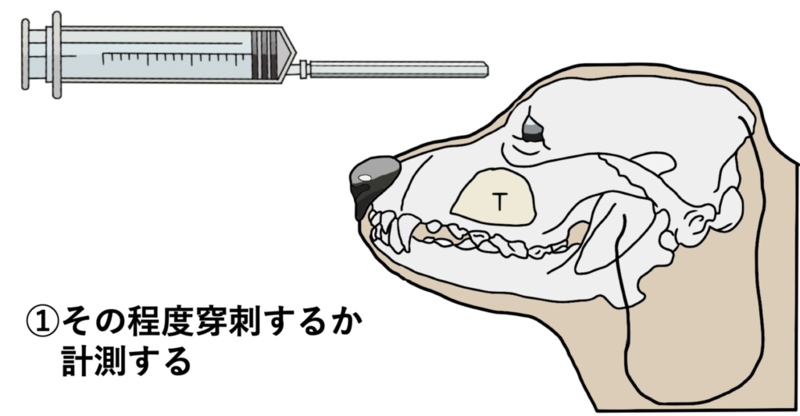 However, a significant difference in median survival time was observed between the CT stage III (15.1 months) and CT stage IV (6.6 months) dogs (p=0.016). 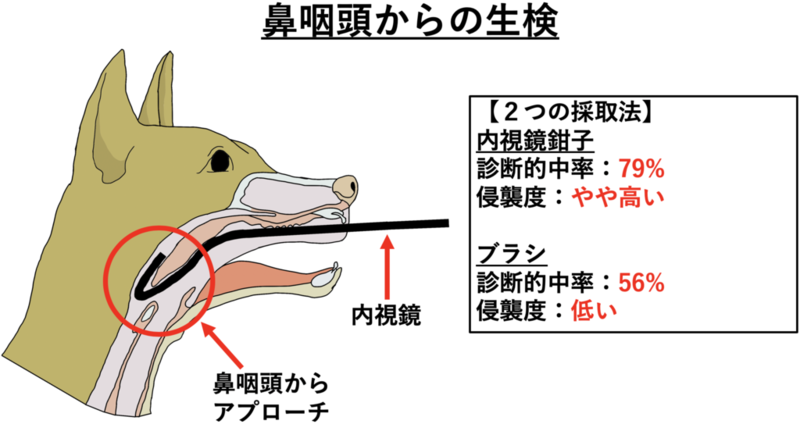 引用文献：Prognosis of canine patients with nasal tumors according to modified clinical stages based on computed tomography: a retrospective study.